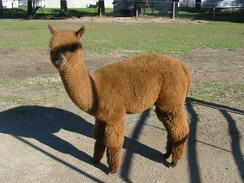 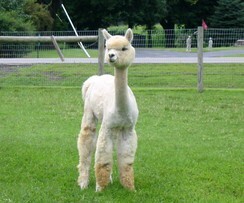 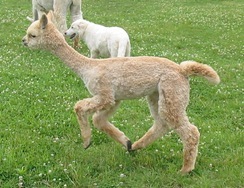 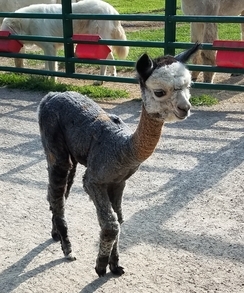 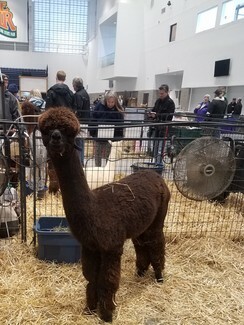 Openherd: Glengary Farm Alpacas/Andean Group - Get great deals on alpacas in Openherd auction lots! 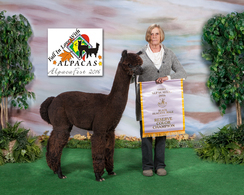 1/2 Accoyo, 1x Champ, MFD 20.9 AT 9 YEARS !!! 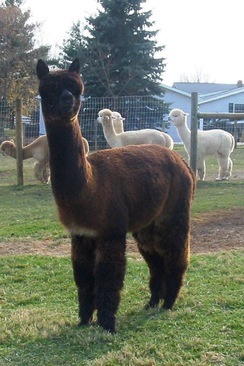 XENOS IS A PRODUCT OF OUR BREEDING PROGRAM IN PARTNERSHIP WITH FREEDOM RANCH ALPACAS. 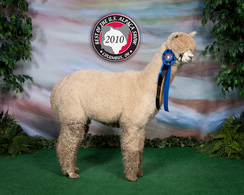 WE CURRENTLY OWN 100% OF THIS FULL PERUVIAN 1/2 ACCOYO MALE WHO IS JAMMED PACKED WITH PROVEN GENETICS COMING FROM BOTH SIDES. 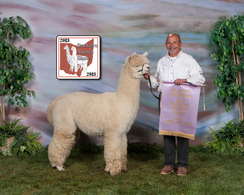 XENOS SIRE EL ACCOYO RUBIO IS A COLOR CHAMPION AND HIS DAM IS A PROVEN PRODUCER OF HIGH QUALITY OFFSPRING. 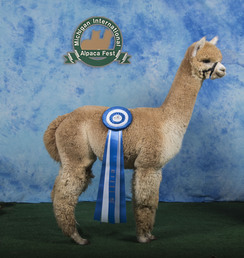 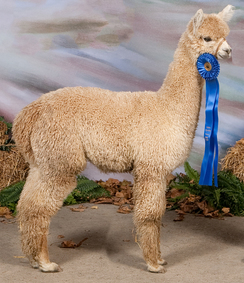 GGF APHRODITE'S ARIANNA IS A STUNNING DARK BROWN WITH VICUNA COLORING ON HER LOWER EXTREMITIES. 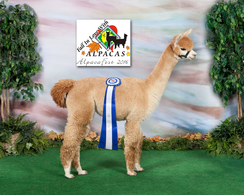 IN HER PEDIGREE ARE CLASSIC ACCOYO GENETICS--PPPERUVIAN ROYAL FAWN, 382 PERUVIAN ZEPHYRUS AND 6PERUVIAN ACCOYO LEGACY HER FINE UNIFORM FLEECE COVERS A LARGE FRAME AND WITH HER COLORING MAKES FOR A DYNAMIC PACKAGE.